Why a Bergére is the Perfect Chair and Where to Find the Best Ones! 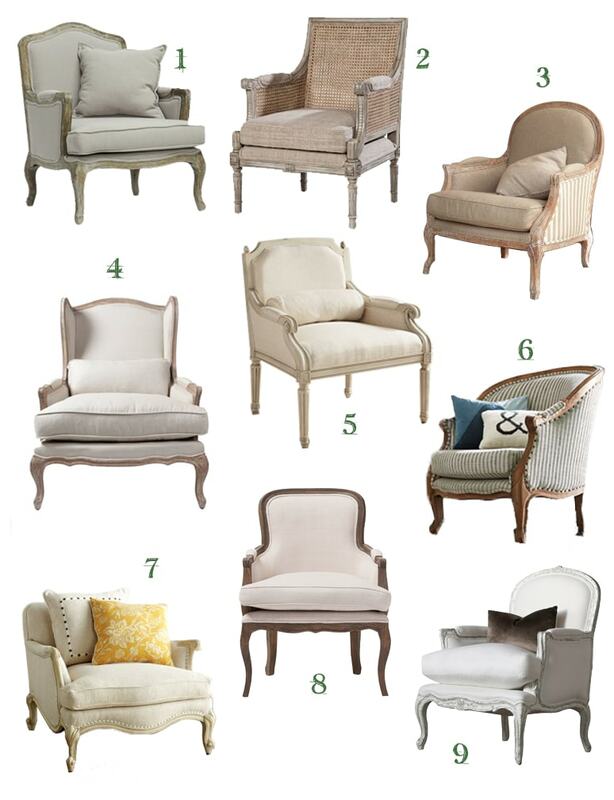 Why a Bergére is the Perfect Chair, and Where to Find the Best Ones! 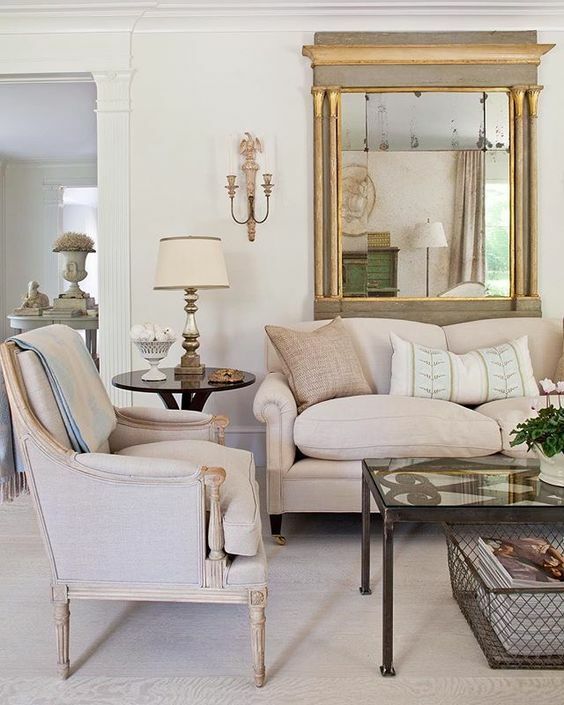 There is nothing quite like the perfect arm chair in a living space. And of course, since I’m partial to French style in general, I just adore a good Bergére chair! They’re versatile, classic, and comfortable (which not all armchairs are). For those of you not familiar with it, a Bergére is a chair designed in the Louis XV style, with an upholstered back and arms, and fitted with a loose tailored seat cushion. These antique French chairs typically featured wood frames that were either gilded or painted and were upholstered with fine fabrics. And to me, that is key! Today, these chairs are often upholstered in simple fabrics, like linen, ticking, or even burlap. And that’s what I love! As I’ve shared before, I love French style, but my take on it is a bit more casual. I love the juxtaposition of a gilded armchair covered in simple linen. 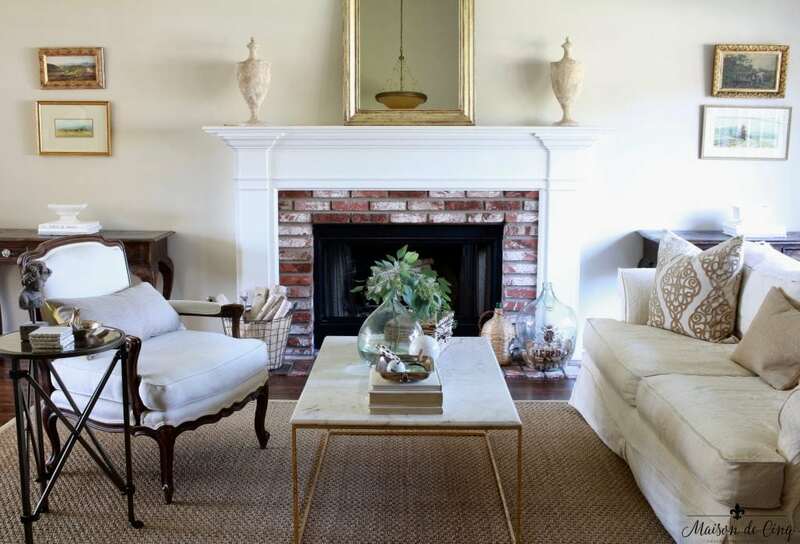 Or gold mirrors in a room with distressed furniture and a seagrass rug. The high/low mix is what really speaks to me. Without that bit of casualness thrown in, for me it can feel too fussy. 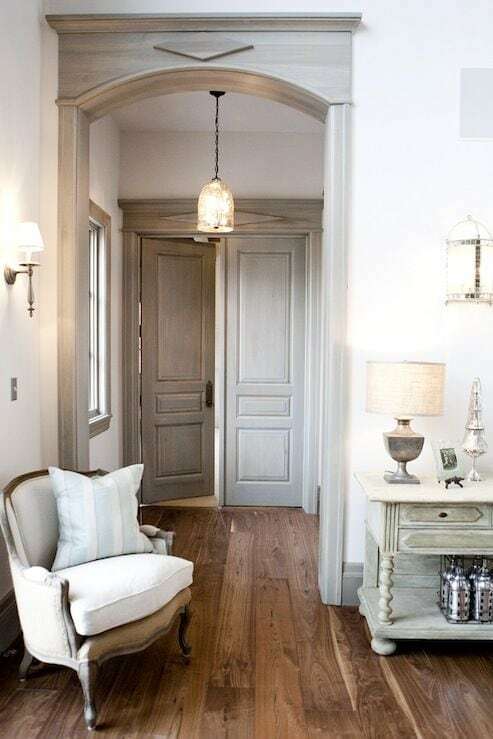 But that mix of styles, the casual with the ornate, the rustic with the elegant, is the essence of casual chic style! I actually wrote about Bergére chairs a few years ago when I had recently purchased mine. However, it was such a popular post, that I thought it deserved a revisit. Also, I’ve been inspired by them for as long as I can remember, and I don’t see that changing any time soon! Mine is not a French antique, unfortunately, but I do love the simplicity of it. It doesn’t have the floral carvings on the wood frame that many have which makes it a little less formal. And it’s covered in a simple white linen. I bought this one at a local resale store. I own a pair actually, but they are currently split up with the second one living in my master bedroom. It’s also spent time in the family room! This chair is so versatile it really can play anywhere. You can see the detail of the carvings here. I love how simple they are. The Always Perfect, Always Versatile, Bergere Chair! Simple beauty by Pamela Pierce Designs. I love the chippy white finish of this one! Traditional wood-toned and one of my all-time favorite images! This is utterly timeless – you truly can’t tell if this photo is ten years or ten days old. 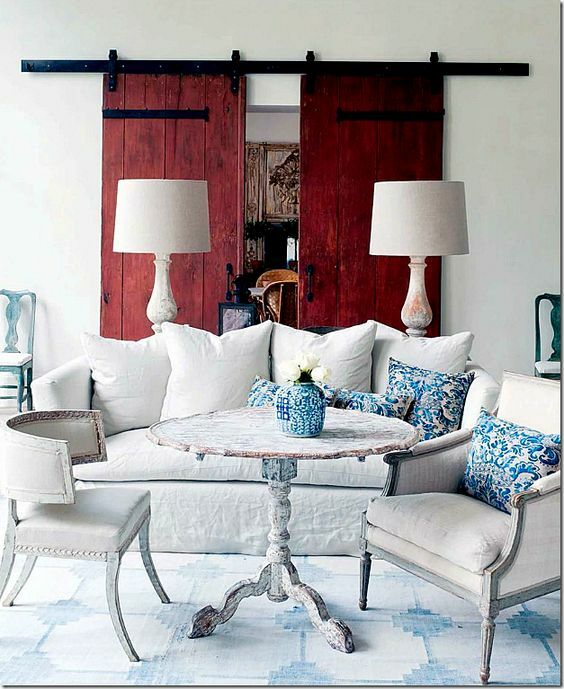 Design by Renea Abbott via Veranda magazine. 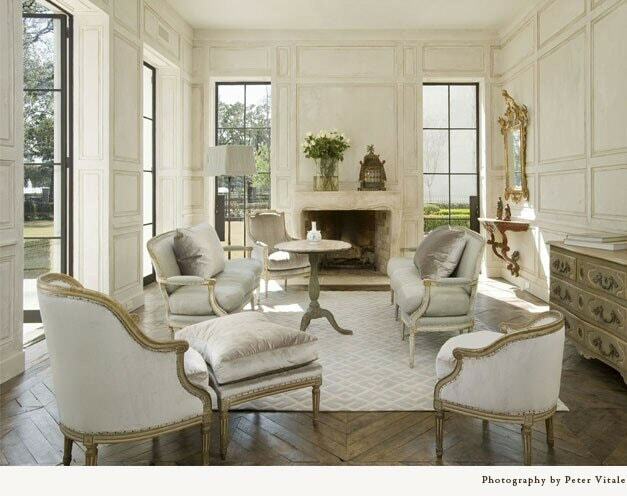 All the furniture in this living room seems is French! Room by Pamela Pierce, photograph by Peter Vitale. 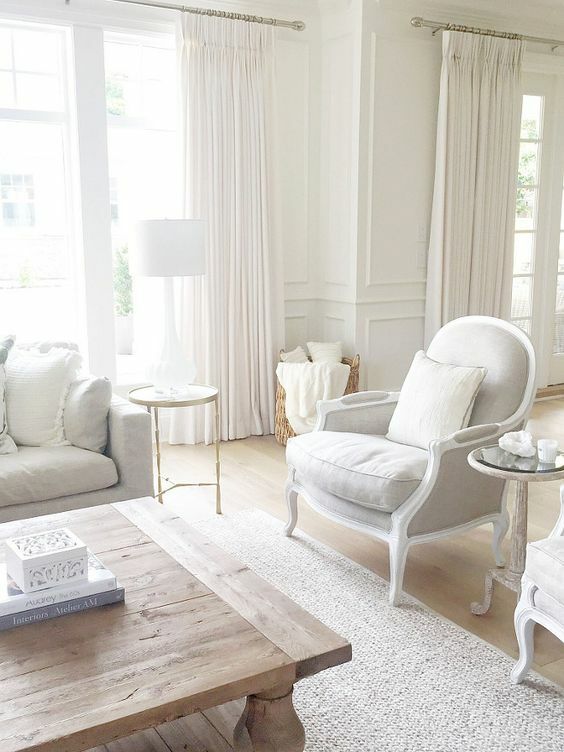 Beautiful living room with a pale version of a Bergére chair. By Loi Thai of Tone on Tone. My friend Sonja’s beautiful house with a white framed version. 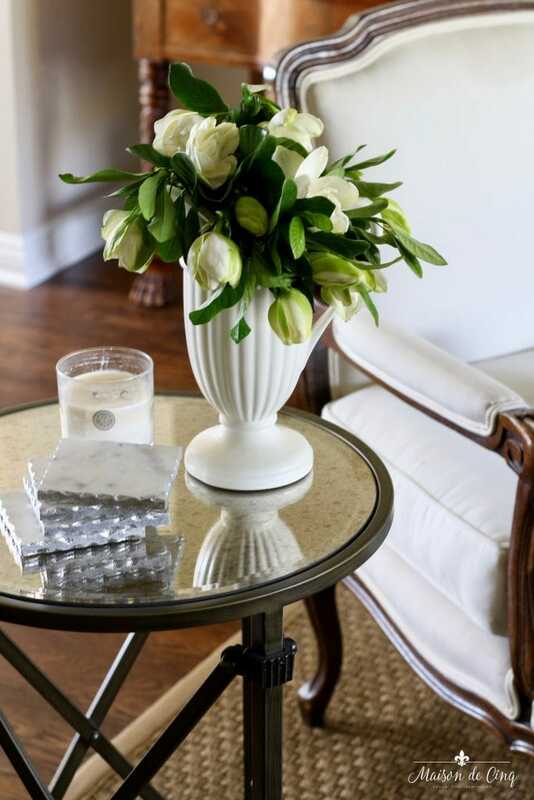 You can find more of her inspirational home here. When I was looking for mine, they weren’t nearly as easy to find as they are now! I purchased them at a local resale store, but frankly, had I been able to find ones as pretty (and reasonable!) as now, I most likely would have bought new! Below you’ll find some of my favorites; in different finishes and styles and at different price points. I’m telling you you won’t believe some of these prices! You can also look for a genuine vintage or antique (which I almost always prefer) but sometimes there just isn’t time to shop for those. They can also be more expensive than the reproductions are. Some good sites for antique versions are Chairish, Ebay, and 1st Dibs. I’ve also known designer friends to find them in thrift shops or Goodwill stores. But if you’re in a hurry, don’t want used, or simply don’t love the “chase,” then one of these might just fill the bill! Caning is one of my favorite accents on a Bergére chair!! Love the rounded back and small size of this chair. The unusual style of this wing back Bergére makes it special. IN LOVE with this one! And it’s Pier One! Seriously thinking of where I could use this one! Such a cute ticking fabric on this chair. (Though it also comes in off-white). The larger size of this one makes it great for a larger space. This French accent chair is at Target – yes, Target!!! For all you white lovers out there, this is the one! And for even more French style, check out some of these finds! I hope this has inspired you to shop for your own Bergére chair! Let me know if there are any great ones out there that I missed! I too like the Bergere chair . I have four of them. My favorite is the leather one with the ottoman. If I dribble a chocolate covered cheery on it it cleans up in a hurry lol. My kind of chair. 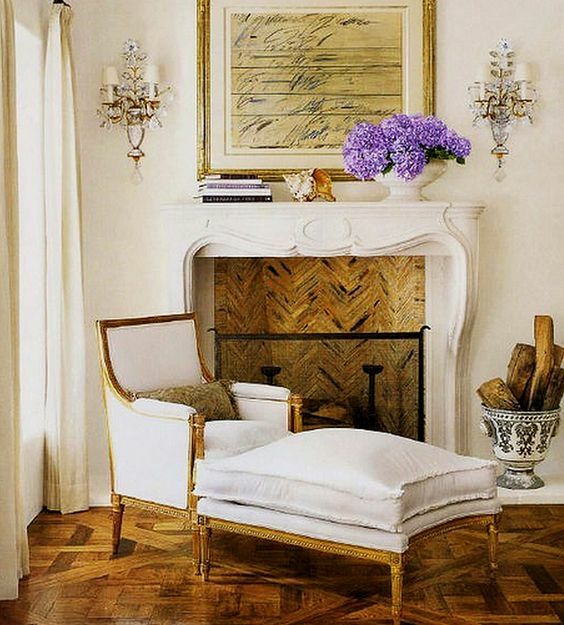 Love, love Bergere chairs chairs…I love the one shown in Loi’s image and I have the #3 chair in my living room! Yay! Aren’t they the BEST?!! So perfect and classic – they seriously never go out of style! And they look good with everything, I even love them in modern rooms. I don’t have one yet, but the lusting after has begun. Thanks for the info. Oh yes, me too! I want another/different one!! You’re so welcome! I love a good Bergere. Thanks for sharing. Congratulations on being a featured blogger on Feathered Nest Friday at French Country Cottage. And many thanks for stopping by the blog and taking the time to comment – I so appreciate it! Love Bergeres! Have several pairs… the antique ones are a little cuter( I think it is because they are smaller?) but the new ones are much more comfy! Thank you for sharing these pretty pics!! Thanks much Angelina – and Happy Weekend! 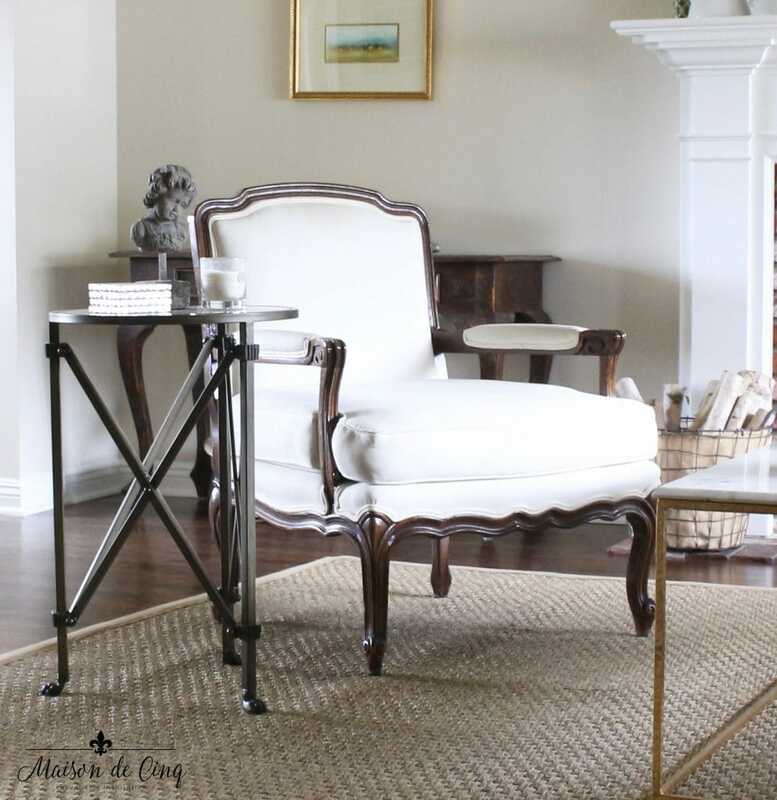 Bergere chairs always lend an air of excellence in any room. And, they look like they would be really comfortable to sit in. Yours is very pretty in white linen. It looks great in the room. Thanks so much Carol! I do love them too – especially because they are stylish and comfortable! Thank you for stopping by and for taking the time to comment. I so appreciate it!